Radioscape is a visual adaptation of the eponymous record produced within Art Kill Art label in 2017. Radioscapes are two sound pieces that propose to listen to complete radio landscapes. The nearly complete radio spectrum has been recorded methodically during weeks and assembled into one sound in two different locations: Malakoff, next to the Parisian ring and Besseuil in an isolated farm. Listening to these pieces is going through 3GHz to 30 kHz, passing by wifi, cellphones, satellites, radios broadcasts, military coms, and natural waves, all of these composed by their occupied position in the radio spectrum. This video is an extract of the B side recorded in Le Lieu Dit, Besseuil, France in April 2015. 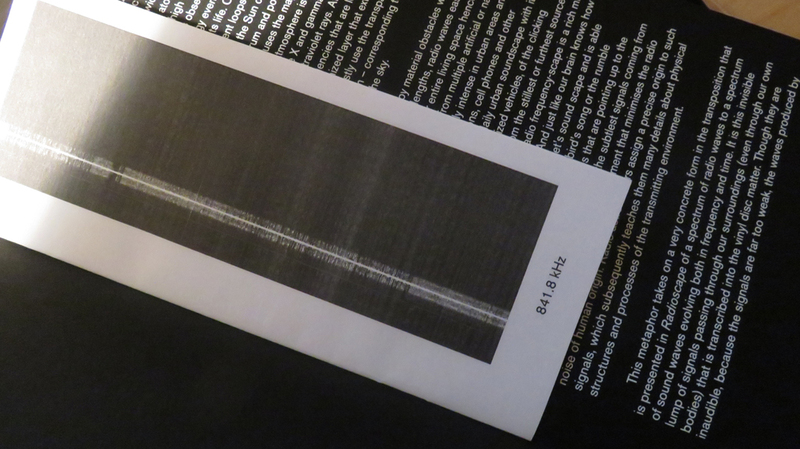 Radioscapes is a record that invites the listener to discover the electromagnetic landscapes that surround us. The two sides of the vinyl propose to listen and to observe two very different radio contexts: the Paris ring road (Side A) and an isolated farm in the French countryside (Side B). In each location, the whole radio spectrum was methodically recorded during a period of two weeks and then transcribed into a single audio track. On each side, an image representing the levels of the received frequencies is printed under the groove in synchronization with the sound. 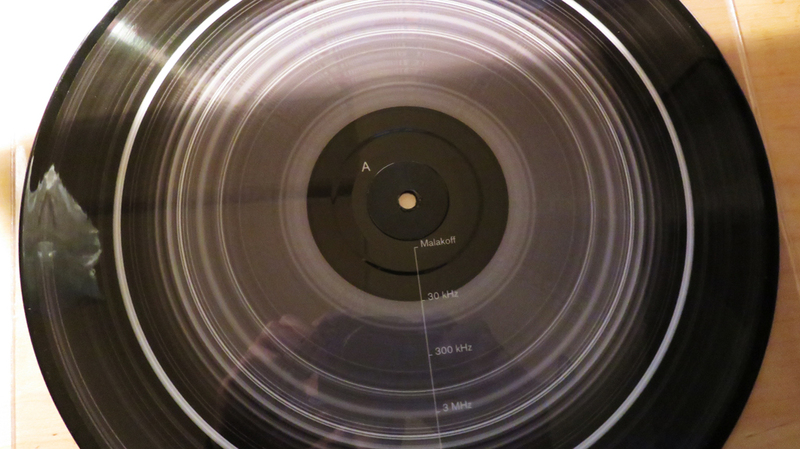 The record is accompanied by a silk-screened booklet that brings together a text by astrophysicist Eric Chassefière detailing the physical properties of radio waves and their implementation in radio astronomy and the protocol used to carry out the recording of waves. 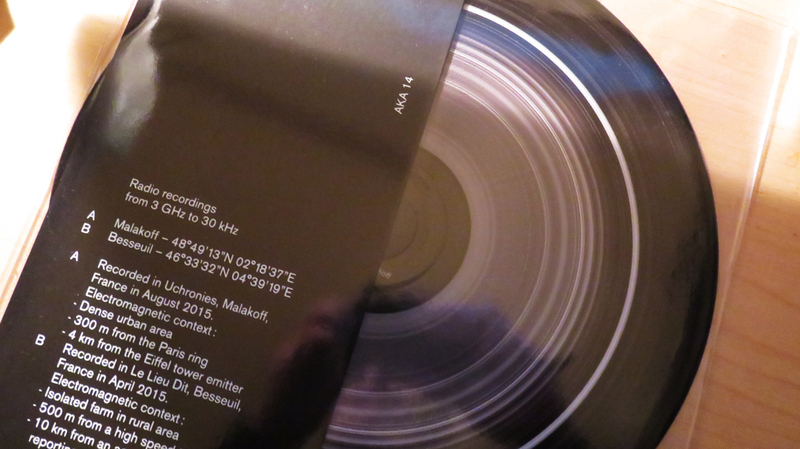 B – Recorded in Le Lieu Dit, Besseuil, France in April 2015. 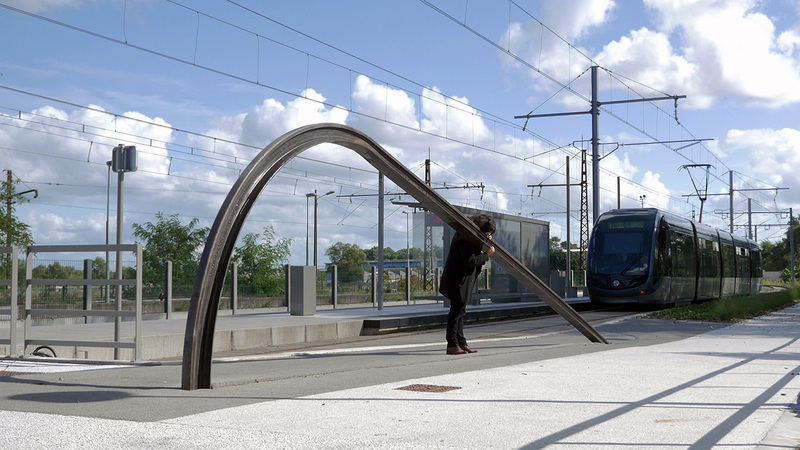 Nicolas Montgermont explores the physicality of waves in different forms. He is interested in the reality of waves in space, the way they move and change, the links between a source and our perception, by designing setups that create a sensitive exploration of their poetic essence. He works with sound waves mainly through the vibration of materials and their propagation, natural and artificial electromagnetic waves in the form of radio landscapes, gravitational and sidereal energies through the double prism astronomy / astrology. Artkillart is a label based in Paris and Berlin, created in 2007 by RYBN, Thomas Pigache and Clément Lyonnet. Its purpose is to promote experimental audiovisual and sound art. In reaction to dematerialized music, the artists of the label refocus on material objects. They are invited to conceptualize and design an object exploring the quality, the complexity and the limits of different media (including the dvd, cd and vinyl) and conceived as an experience both for the artist and the audience.